Condominiums are quickly going up along the south Florida coast once more. Plans are in various stages for at least 7,600 new units constructed in 45 new towers. Most of these planned new units would be constructed in the Miami-Dade county area. Rumors say that new buildings are in various planning stages for downtown Miami, Aventura, Key Biscayne, Miami Beach, Surfside and Sunny Isles Beach. These projects seem to be drawing the most interest. Developers are looking to develop 35 new towers in those areas that would contain 6,100 units. Other developers have their eyes on Broward County, and in particular in Hallandale Beach, Hollywood and Fort Lauderdale Beach, where they would love to build 700 new units divided among five smaller buildings. At least one developer has his eyes on Palm Beach county where he would like to develop five new towers containing 700 new units. He is considering Gulf Stream, North Palm Beach and West Palm Beach. Unlike the building boom of 2006, the new projects are requiring buyers to put down deposits of 30 to 80 percent. New construction is only beginning when the vast majority of the units are presold. Most of the money for the new developments is coming from Turkey and Australia. Those interested in buying those new condominiums will want to consider the building’s surveillance system before making such a huge investment. The average asking price for a unit is $249,000, down from the 2006 building boom high of $379,966, and the January 2011 low of $182,260. In fact, condominium prices rose on the average of 34.8 percent last year. The first thing that these buyers will want to consider is that access is controlled to all exterior doors and common areas. A camera that is watched 24 hours a day should monitor these doors. In fact, the more expensive units are using a closed circuit camera that allows tenants to watch the entrance on a special channel on their television. The most common camera to use in these situations is a point-tilt-zoom camera, often abbreviated as a ptz camera. The advantages of these cameras are that they can be zoomed right and left from a remote location to follow suspicious activity. They can also be tilted up and down so that they can follow the activity and see any suspicious packages left at doors. Connecting these cameras to each tenant’s apartment allows the tenant to see who is asking to be buzzed in. The condominium should be located in a gated community. Each resident should ideally have to provide a code to their guests in order for them to enter the community. Residents should also be able to view the vehicle at the gate before allowing their guests to enter. In addition, the outside of the building should be well-lit. This lighting will make it easier for residents to see each other and identify harmful situations before they occur. While plants add to the property value, all shrubbery should be well maintained so that they provide easy views of the property. Before buying a condominium, buyers should also make sure that the building’s developer has provided a well thought-out disaster plan. In the south Florida area, hurricanes are a major threat and steps should be taken to assure that all residents can be evacuated in a timely manner and their property be left secure. Many condominiums are hiring their own doormen and security forces. The doorman is particularly crucial and should have a complete background check done before he is hired. The doorman should work at knowing all the tenants and be able to spot unusual visitors immediately for intense questioning. Having security forces in place assures that the unusual situations are promptly investigated. These security forces should be able to monitor cameras all the time. Cameras should be installed in common areas that these security forces can routinely monitor. A variety of cameras can be used, including box cameras, bullet cameras and dome cameras. Box cameras can be used as they serve as a deterrent by their sight. Box cameras are particularly useful in common areas such as game rooms and fitness facilities. The mere sight of the camera can be a deterrent to crime. The camera should have enough resolution that footage will easily allow those monitoring these cameras to identify people involved in crime. These cameras should have a battery backup so that they will work even if power to the building is not working. Dome cameras are often installed in hallways of condominium buildings in south Florida. These cameras are useful as they mount flush to the ceiling and most residents do not see them as an intrusion to the privacy. In some communities around the country, condominium owners are even agreeing to allow police to monitor these cameras from headquarters. Bullet cameras are particularly useful in the desk area where money transactions happen. These cameras are often used in conjunction with high-resolution lenses so that each transaction is clearly recorded. In addition to the camera, the condominium building should have a full-time resident manager that is hired after a full background check has been conducted. This manager should be given full authority to act in any way that he or she feels is necessary to protect the residents and property. An important part of the manager’s job should be planning activities so that residents can get to know each other. Buildings where residents interact are considerably safer than buildings where neighbors do not know each other. All condominium apartment owners should have the right to protect their personal property in other ways. For example, the owner should be able to install a personal keypad on their condominium in south Florida door. All window locks should be operating properly at all times. A major concern for south Florida condominium owners should be the parking garage. The garage should have an attendant in place at all times. Furthermore, the parking garage should have security cameras on each level that are high resolution to record the license plate of each car. The attendant should have access to these cameras so that they can monitor activity within the facility. 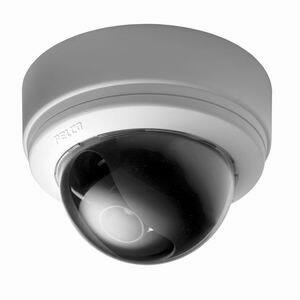 A great choice of security cameras in this situation is the ptz camera so that action can be followed. It is important that these cameras be equipped with recording devices on the camera so that a thief cannot disturb the wires to the camera causing it to not operate properly. In buildings where more luxurious condos are included, each residence should have an elevator that requires a special card to make them work. Residents should expect to have to meet their guests and operate the elevator for them. If the condominiums in South Florida are located on top of retail stores, a clear boundary should be established with cameras being monitored closely in this location. This is a great place for a keypad allowing only residents who know the code to go beyond that door. While many people think that the largest time for crimes around condos in south Florida is during the night. The truth is that most crimes occur during the day when people are gone to work. Therefore, it is important to choose cameras that will operate in all lighting conditions.In some areas of the building, the only cameras that will be needed are day cameras. These cameras record the highest resolution footage in color. These cameras do not deliver any footage when there is not enough available light. Other situations around condos in south Florida require day/night cameras. These cameras take great daytime footage in color and when light becomes scarce, the camera records in green using any available light. These cameras deliver great daytime footage with high resolution, but the resolution at night is acceptable. Other situations around condominiums in south Florida require infrared cameras. These cameras require produce their own light and can record in total darkness. These cameras do not do well in bright sunlight often giving out a very white footage. 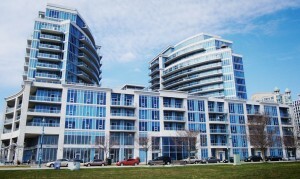 It is important before a condominium buyer puts his money up for a unit, that they understand what security is offered. These units are expensive and should be well protected. Unfortunately, this is an area where some lower end companies try to cut corners, especially if money runs low at the completion of a project. Therefore, before moving into a condominium make sure that the company has provided adequate security. As the new condos go up in south Florida, we highly recommend buyers look for great security. Make sure that the units in downtown Miami, Aventura, Key Biscayne, Miami Beach, Surfside, Sunny Isles Beach, Hallandale Beach, Hollywood, Fort Lauderdale Beach, Gulf Stream, North Palm Beach and West Palm Beach provide great security cameras that are monitored at all times. Contact us today for a free quote.